Shill, Screwball, Dr. Who and the Constant Unknown. | Marbella Marbella – Adelante! 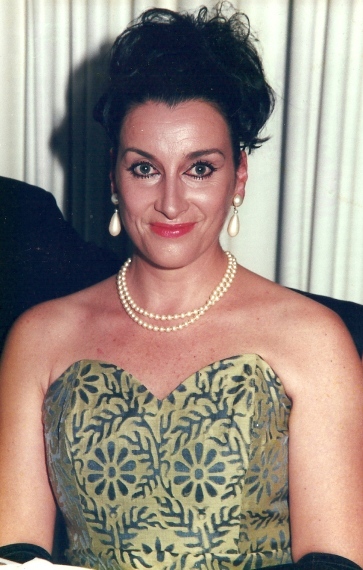 After thirty years spent as a jobbing actress, a career choice which took in TV and theatre as far apart as Sydney and London, when I finally settled in Spain I mixed my time living in Mijas by writing my own TV scripts alongside the occasional audition and appearances on Spanish TV. Playing in theatre was a tough grounding not just in art but in life itself and as an apprenticeship it gave me an understanding and huge respect for all my fellow professionals and that special talent required not just to act, but to act simply and seamlessly. The best protagonists of their art never seemed tested or tried, at least on stage. They had a natural connection. It was just there, first time, every time. And better still you could not always put your finger on it. That star quality, the “constant unknown” is what still draws me to the business everyday. As well as allowing me some breadth as a critic during my working exploits over several continents I have always remained a huge fan of the art form whether silver screen or small screen and it was this which sparked my interest to move into feature film casting. One space in my vision that still seemed constantly unfulfilled on screen was in the genre of tough, hard hitting crime films, mens films some may call them, where it still seems a female lead is reduced to window dressing as soon as a gun or getaway car appears on screen. Cliche’s sell because people understand them, its true. But its a blind spot. You know its there but you accept you cannot see it. It’s like constantly ordering your favourite food from the menu for fear of trying something new just in case you don’t like it. That pre programming is a polite way to say we are all slightly brain washed, and willingly, and often consume the same thing over and over. For an actor, paid or not, this is soul destroying. So when last year I heard news that a local film writers wife had been badly hurt in a riding accident the shock was even greater when screenwriter Paul Grimshaw gave me a copy of his film script “Shill” to read. It was Paul’s first screenplay. But over the next 12 months while his wife was successively recovering from wheel chair to walking stick I discovered his writing was not just totally original but also had a clear understanding of story telling that delivered layers of plot, and delivered a multi-dimensional, real life driven connectivity between not just a male and female lead character but a micro society of characters which translated many different colourful stories into his own single canvas. It was like an oil painting. At the time of his wife Jayne’s accident Paul had not been dreaming or idly searching for Hollywood stars but was simply looking to get his script read while caring for his wife. He was a rookie in film but not in life. He was clever enough to seek out the opinion of a successful female lead and as a fan of L.A. based Czech actress Barbara Nedeljakova (Hostel, Shanghai Knights) sent her the Shill script to look at the lead role of a Russian call-girl called Alexandra Ulyana. Having read the script it was only a few weeks later that Barbara Nedeljakova herself was in London to meet actor, director and playright Paul McNeilly http://screenactinglondon.co.uk/ to audition for the part. Paul McNeilly was instrumental in growing the Shill project and from the beginning his energy and positive public commentary built a solid credible foundation for writer Paul Grimshaw to continue. Today while the Shill film project develops from its home town of Marbella the two Pauls are still talking film business while I have had offers from as far away as London and Los Angeles to develop the script. One from Elevate Entertainment and actor Vinnie Jones who liked the story himself and offered to step in as an executive. Commercial relationships are a big commitment in major films and while they develop Paul Grimshaw himself has gone on to write a sequel called Shill 2: Phonesex and a third screenplay murder mystery set around an ice cream van called “Screwball”. Quite unique is Paul Grimshaw´s use of social networking which allows film fans to track his new projects during their earliest development. Links to some of his projects are below including his very latest psychological thriller Red Ash Hope. Royal Television Society award winning writer, film maker and Dr. Who director Andrew Gunn has already read the Screwball script and after his positive remarks returns from filming in South Africa in a couple of weeks time when we hope to discuss bringing to life another of Paul´s exciting film projects first penned here in Marbella. Disclaimer: The views, opinions and positions expressed within this guest article are those of the author Annette Conrad alone and do not represent those of the Marbella Marbella website. The accuracy, completeness and validity of any statements made within this article are not guaranteed. We accept no liability for any errors, omissions or representations. The copyright of this content belongs to Annette Conrad and any liability with regards to infringement of intellectual property rights remains with the author.